A loan of $1,100 helped to buy a cooking stove. Emilia and her business are known for their excellent quality and service. She sells fast food from a small stand in the street. Through her work she is able to provide a quality lifestyle to her family of five children and husband. 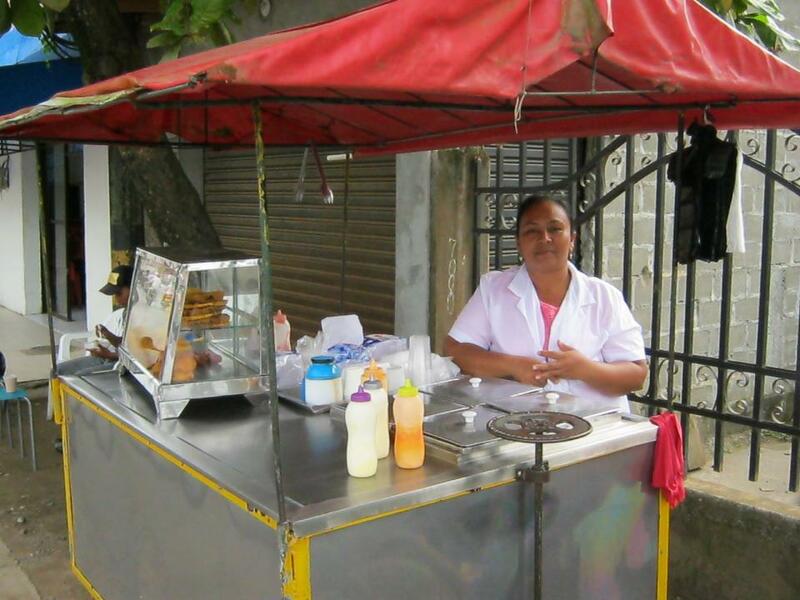 Her dream is to have a restaurant one day so she can leave a good business to her children and they can support themselves when she and her husband are no longer around. Emilia y su negocio se caracteriza por tener una excelente calidad y servicio, ella ofrece a sus clientes comidas rápidas en un carrito ubicada en las calles. Ella con su negocio ayuda a su familia confirmada por sus 5 hijos y su esposo a tener una buena calidad de vida. Ella se sueña poder tener un restaurante para así poderle dejar a sus hijos una buen negocio para que ellos puedan sostenerse económicamente cuando ella y su esposo falten.